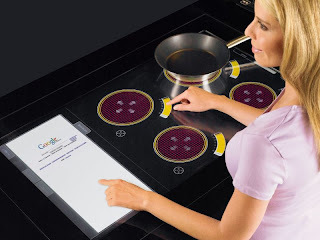 Carmen’s Corner: WOULD YOU LIKE THIS KITCHEN IN 2015? WOULD YOU LIKE THIS KITCHEN IN 2015? Having a kitchen design that matches your lifestyle is definitely the key of the ideal condo kitchen. Open space kitchens are designed not just to allow you to enjoy cooking with state of the art appliances but they are also designed to be a great entertainment space. The kitchen represents the most important element of an open living/dining/kitchen condo space and many of you have sent me this question- should you design the rest of the space to match the look of the kitchen? The answer is: when you select the finishes for your kitchen (the most important are the 3 elements- cabinets, countertop and backsplash) keep in mind the overall look you plan to have for the entire open space because the look has to be integrated- not necessarily to match the kitchen but to work well with it either by matching or by contrast. One of the companies focused on innovative ideas for the future is Hettich with a history going back to an inventor, Karl Hettich, who found a better way of making parts for cuckoo clocks and set up a small company in the Black Forest in 1888! 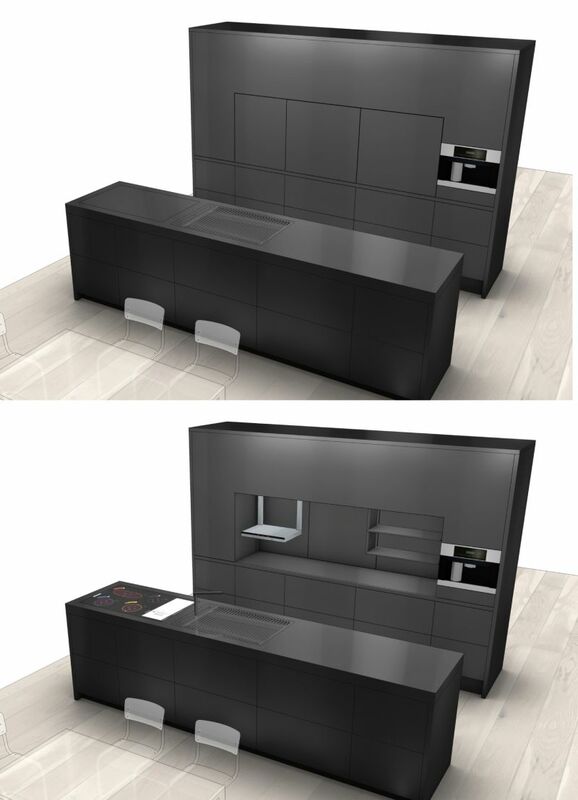 Hettich is launching "Kitchen Concept 2015" and they predict some very interesting concepts and a trend forecast for kitchen and home environments in 2015. “In terms of design, "Kitchen Concept 2015" interprets the kitchen as the hub of the home. It is integrated in the home environment rather than claiming to be the centre of attention.” Their concept works extremely well for many of the condo floor layouts equipped with a linear kitchen layout. 1. Drawers and pot-and-pan drawers that can be opened from both sides. 2. 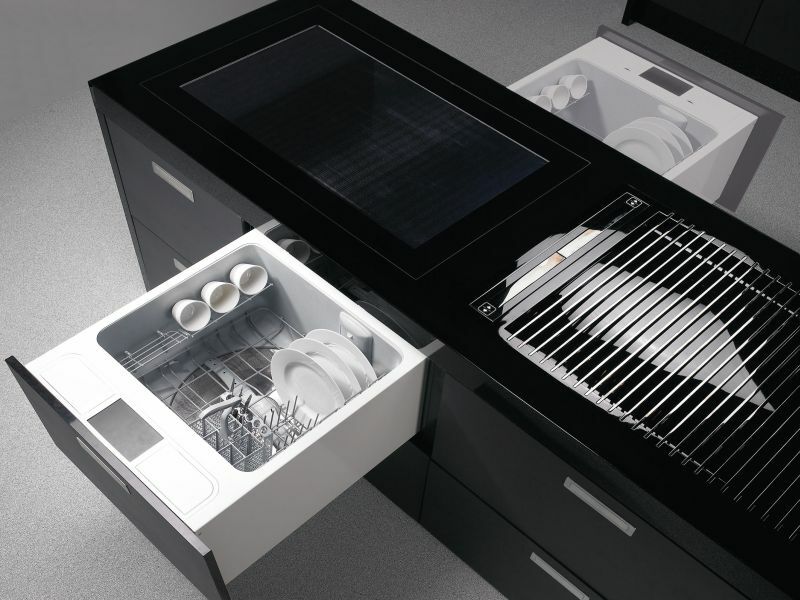 Separately controllable drawers in the dishwasher can be opened from both sides. 3. 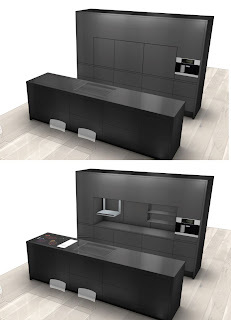 From the aspect of ergonomics, "Kitchen Concept 2015" shows height adjustable wall units. 4. Control panels on the base unit provide the capability of raising and lowering cabinet elements independently of each other. 5. 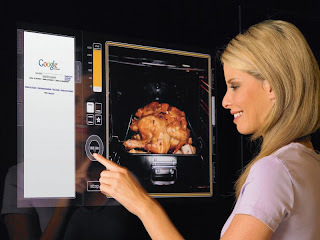 The touch screen in the hob or large screen in the kitchen front can be used, for example, to display oven temperature and remaining cooking time. "Kitchen Concept 2010" presented back in 1999 also clearly confirmed Hettich's innovative and future-focused development competency: Many of the forecasts from then- now either form part of modern kitchens or are about to be included in them. "Kitchen Concept 2015" aims to provide kitchen furniture and white-goods manufacturers with inspiration for taking the kitchen forward as the hub of the home.
" Internet, television and other building services can be controlled at a central point from the hob. Photo: courtesy Hettich. My prediction: condo developments opening next year should show some of the elements part of Hettich’s innovative ideas. Watch how convenient this kitchen could be!What do you think? Would you like to have a kitchen like this in your condo? Let us know, send us your comments! are there any other features you would like in your condo kitchen?